Traditionally it has been very difficult to recover attorneys' fees from the Internal Revenue Service even if after lengthy and costly litigation the taxpayer prevails. According to one study, total awards have averaged $220,000 annually, and only $6,300 per award. See ABA Tax Section's Testimony at House Ways & Means Oversight Panel Hearing on Taxpayer Bill of Rights II Legislation, 95 TNT 59-70 (1995). Recent changes made by the Taxpayer Bill of Rights 3 ("T3"), which was passed as part of the Internal Revenue Service Restructuring and Reform Act of 1998, P.L. No. 105, 112 Stat. 685 (1998) may greatly increase the number of awards for fees incurred after Jan 18, 1999. Since 1983, Internal Revenue Code ("IRC") Section 7430 has provided for payment by the Internal Revenue Service of reasonable litigation and administrative costs to a "prevailing party" where the position of the United States is not "substantially justified." For proceedings beginning after July 30, 1996 the burden is on the IRS to prove that its position was substantially justified. IRC Section 7430(c)(4)(B). "Reasonable litigation costs" include reasonable court costs, expert witness fees, the cost of any study, analysis or project which is determined by the court to be necessary for the preparation of a taxpayer's case, and reasonable attorneys' fees. IRC Section 7430(c)(1). The amount of reasonable attorneys' fees are limited as discussed below. The test for whether the government's position is substantially justified is whether a reasonable person would think the government's position was reasonable. Lewis v. United States, 144 F.3d 1220 (9th Cir. 1998). In cases before the U.S. Tax Court, whether the position of the IRS is substantially justified is determined as of the date the IRS files its answer. California Marine Cleaning, Inc. v. Commissioner, TCM 1998-311 (1998). See Huffman v. Commissioner, 978 F.2d 1139, 1148 (9th Cir. 1992). A significant factor in determining whether the position of the Internal Revenue Service is substantially justified as of a given date is whether, on or before that date, the taxpayer has presented all relevant information under the taxpayer's control and relevant legal arguments supporting the taxpayer's position to the appropriate Internal Revenue Service personnel. Treas. Reg. Section 301.7430.5(c)(1). A "prevailing party" is defined as a party who has substantially prevailed with respect to the amount in controversy or substantially prevailed with respect to the most significant issue or set of issues presented, and who meets the net worth requirements of 28 U.S.C. §2412(d)(1)(B). IRC Section 7430(c)(4)(A). However, if the IRS establishes that its position is substantially justified then the party will not be treated as a prevailing party. IRC Section 7430(c)(4)(B). The net worth requirements make attorneys' fees unavailable to individuals with a net worth of over $2 million at the time the case is filed. If the taxpayer is the owner of an unincorporated business, or is a corporation or partnership the $2 million limit is increased to $7 million. Without regard to the net worth limitation, a business with more than 500 employees at the time of filing cannot recover attorneys' fees. Treas. Reg. 301.7430-5(f). Attorneys' fees are not available unless the prevailing party has exhausted his administrative remedies within the Internal Revenue Service. A failure to agree to extend the statute of limitations of the time for the assessment of tax is not, however, taken into account for the purposes of determining whether a party has exhausted his administrative remedies. IRC Section 7430(b). Prior to T3 attorneys' fees were not recoverable unless incurred after the earlier of the issuance of the IRS notice of deficiency or the date of receipt by the taxpayer of the notice of decision of the IRS Office of Appeals. IRC Section 7430(c)(2) (as in effect prior to T3). Thus, none of the costs incurred at the Appeals Office were recoverable. Pursuant to T3 fees may now be awarded for costs incurred after the earlier of the issuance of the 90 day letter, the 30 day letter or the date of the receipt of a notice of written decision from the IRS Office of Appeals. IRC Section 7430(c)(2). To better understand the effect of this new provision a brief explanation of IRS audit procedures is necessary. After an IRS examination is completed, the revenue agent issues his or her findings in the form of a "30 day letter." It is so named because it allows the taxpayer 30 days to request a hearing before the IRS Appeals Division if he doesn't agree with the revenue agent's decision. The vast majority of tax cases are settled in the Appeals Division. If a case is not settled in the Appeals Division, or the taxpayer neither agrees to the revenue agent's findings nor requests an Appeals Division hearing, the IRS will issue a notice of deficiency, also known as a "90 day letter." The 90 day letter allows the taxpayer 90 days to file a petition with the United States Tax Court, and gives that Court jurisdiction to determine if the IRS determination was correct. Alternatively, the taxpayer can elect not to file in the Tax Court, pay the tax, and file a claim for refund. If the claim for refund is denied, or not acted upon within 6 months the taxpayer can then file suit in either the Federal District Court or the Federal Court of Claims. Thus, by allowing fees to be recovered for periods after the issuance of the 30 day letter, T3 should greatly increase the size of a successful attorneys' fees award. Apparently, however, the behavior of the Appeals Office prior to the issuance of the 90 day letter will be largely irrelevant to whether the IRS position was substantially notified. See Office of Chief Counsel Notice, N (35) 000-156, 98 TNT 157-20 (1998). One reason why attorneys' fees were sought infrequently in the past was that the maximum recovery that could be obtained was generally limited to $110 per hour. With attorneys' fees running $250 and up it was generally not considered cost effective to spend the additional time necessary to fight for attorneys' fees when less than ½ were recoverable. Pursuant to T3, the hourly rate cap has been raised to $125, plus a cost of living adjustment after 1995. IRC Section 7430(c)(1 )(B)(iii). More importantly, T3 grants the courts the authority to allow a higher hourly rate if the difficulty of the issues presented, or the local availability of tax expertise justifies a higher rate. Id. Thus the courts should be able to award market rates for tax counsel, giving more incentive to seek fee awards. Practitioners should now seriously consider making a qualified offer immediately after the issuance of the 30 day letter in all cases. This will assure guarantee attorneys' fees in matters which are successfully litigated. Careful consideration of the amount of the offer will be necessary, since too stingy an offer may result in attorneys' fees not being granted because the IRS ultimately recovers more than the amount of the offer. On the other hand, too generous an offer could result in a case being settled at an amount which is not in the client's best interests. Finally, It will be interesting to see whether a concern that attorneys' fees may be granted will have any effect on the litigating posture of the IRS, resulting in more favorable settlements to taxpayers. 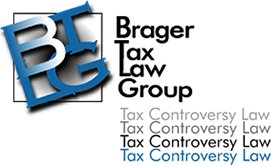 *Dennis Brager, Esq., is a State Bar Certified Tax Specialist in Los Angeles. A former IRS senior trial attorney, Mr. Brager now devotes his efforts exclusively to helping clients resolve their tax problems with the IRS and California State tax agencies. Services include negotiating Tax Debts, Tax Fraud Representation, Tax Litigation, Tax Audit and Appeals Representation, Tax Preparer Penalty Mitigation, Payroll Tax Audits, and California Sales Tax Problems. He may be reached at 800.380.TAX LITIGATOR.